Humanity’s eternal desire to travel beyond the stars really is unstoppable, as even if you pull the plug on one show about the space race, another shall rise to take its place. Deadline reports that Fox has ordered a drama from House producer Eli Attie about the present-day private space race, as “two wildly ambitious egos with a long and ugly personal history battle to control the future of space exploration.” No word yet on the characters who will embody those ambitious egos, though the smart money would be on thinly fictionalized versions of some of the real-life ”wildly ambitious egos” currently trying to launch themselves into the stratosphere. 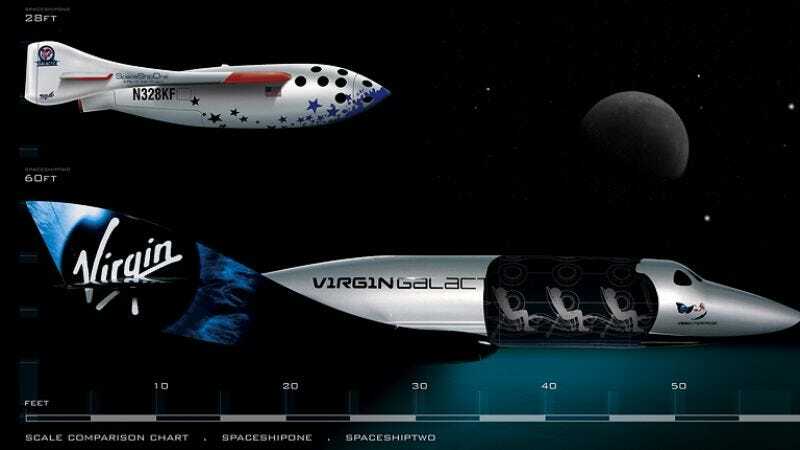 As always, first among egos is Richard Branson, who, along with the rest of the world, has long harbored a desire to blast Richard Branson and his progeny as far away from Earth as possible. As we first reported last year, NBC has already locked down the rights to broadcast the eventual “Global Branson Vaccination” (that’s a free tagline, NBC) whenever it happens. Plus, given that fellow billionaire Elon Musk has voiced very public criticism of Branson while developing his own space-travel technology, the show wouldn’t have to try very hard to imagine two incredibly rich men acting a bit like spoiled man-babies. Before House, Attie was a writer and producer on two Aaron Sorkin shows, The West Wing and Studio 60 On The Sunset Strip, though perhaps none of that is as noteworthy as the fact that he used to be Chief Speechwriter for Al Gore. It seems nearly everyone who falls within the orbit of the former Vice President ends up getting a TV show about space. Peter Berg (The Leftovers) and his Film 44 partner Sarah Aubrey will serve as executive producers.